Does Your Property Need Odor Removal? When shoppers are looking for a new home, they usually don’t judge a house based on its little details like wall color; that can always be painted later on. Smell, however, is a lingering quirk that can’t be covered by paint or masked by an air freshener. It’s a make-or-break flaw that sends a lot of buyers onto the next one. How do you save your property value if your real estate is cursed with an odor? The fact of the matter is that smell, whether harmful to our health or distasteful to our senses, needs to be removed professionally to completely disappear. If your home is in need of odor removal, look no further than the trusted professionals at ONEighty Solutions. We all know the feeling of walking into someone else’s home and being struck with an unwelcoming odor at the door. The homeowners seem to have gone nose-blind to the overwhelming, unbearable smell that guests can’t escape. It’s a nightmare we all hope to never be the cause of. With that in mind, how are you so sure that your home or investment property is odor-free? Below are a few of the more common causes of odor in homes. 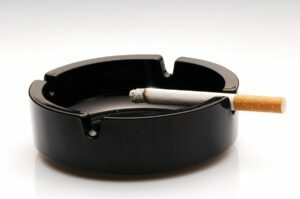 Even for non-smokers, nicotine odors can haunt a home. Whether your home is overwhelmed with the remnant smell of a previous owner’s habit or your stress-relief leaves a lingering smell, cigarette odors can be difficult for homeowners to overcome. The smells cigarettes and cigars leave behind are so powerful and stubborn. No matter how hard homeowners try, the smell cannot be covered up – it must be completely removed. Aside from the health concerns of intaking such odors, having a cigarette odor present can reduce your home’s resell value. Can you imagine life without our fur babies? They’re valued members of our families, but they’re not very good at cleaning up after themselves. Whether it’s months’ worth of cat spraying or Sparky’s potty mess that even Nature’s Miracle can’t remedy, a professional odor removal company like ONEighty Solutions has the tools, experience and processes to completely remove any pesky smell – even the messes of our furry friends. Dealing with a loved one’s hoarding condition can be a heartbreaking event. Many times after going through the painstaking tasks of removing the clutter, the odor left behind makes re-entering or selling the home impossible. Odor removal by a team of professionals can help to get the home back to a livable condition in the quickest and most sensitive way possible. In some cases, the memories of meals past can overstay their welcome. Just like an aftertaste that even a douse of mouthwash can’t kill, some spices and ingredients can stain homes with odor. If you’ve cooked a lot of rich yet delicious recipes, that might be the root of the smell you’re noticing in your house. Your kitchen has been witness to your many Flay-quality dishes, but it’s time for one last cleanup that’s a little more involved than a stacked sink. Unfortunately, this is one mess that can’t be left to soak; consult a professional. By being able to pinpoint the source of your home’s uncharacteristic odor, you’ll be able to address the problem and have a professional treat the property by removing the odor. Instead of keeping your home on the market and lowering the price after weeks of disappointment, address your home’s biggest flaw: the tough-to-remove odor. Having a fresh smell in your home will put it under contract in no time. Despite a persistent cleaning schedule and an attention to building maintenance, commercial properties are not immune to odors. 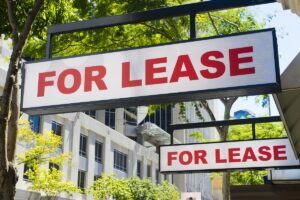 Let’s say you’re leasing real estate that was once used as an animal hospital or a restaurant; inherently, those properties will come with odor issues that will need to be addressed. The unwanted memories of previous water or fire damage can devalue a commercial property. If your real estate has a seemingly irremovable smell, potential buyers or tenants will most likely seek other options even though your property might be the best fit for their business. Investing in odor removal services benefits everyone involved as the tenant will be able to move into the option that works best for them, and the property owner will get top-dollar for their real estate. Whatever the reason for your property’s odor may be, ONEighty solutions is here as the experts to assist with your odor removal needs. For a free evaluation, contact ONEighty Solutions at 678-274-6511 or info@oneightysolutions.com. For more on how ONEighty can be the solution to your situation, like us on Facebook and see what our customers have to say on Yelp.